Provide comfort for the family of Raymond Sultzbach with a meaningful gesture of sympathy. Sultzbach, Raymond, peacefully went to his Lord on January 30. Ray was born on April 8, 1946 to the late Raymond and Alice Sultzbach. He was the beloved husband of his wife, Barbara for the last 46 years. He was the devoted father of his sons, Raymond B. and Steven B. (Cindy). Ray is survived by his sister Alice and her husband, Fred Dungan, his step-brother, Gene McCreanor (Lorraine) and several sisters-in-law, Joan (Richard), Susan and Shannon (Timothy) nieces and nephews and cousins. He was a dedicated member of the U.S. Army, stationed in Germany from 1966 to 1968. He was still in contact with some of his military buddies over the last several years. After coming home and getting married, Ray secured a job with McNeil Pharmaceuticals (now known as Johnson and Johnson) in North Wales, PA. Ray went from a warehouse stocker to warehouse manager with several trips to major cities around the country to open new warehouses. Ray and wife, Barbara were residents of Warminster Township for 40 years and while their boys were in school and becoming more active, Ray was a dedicated coach in baseball and soccer for both sons. Dad was always available for rides, going to games and being the practice pitcher in the back yard. Retiring in 2006, after 33 years at J & J, dinners, lunches and just "nights out" with retired J & J employees were part of his life. Ray was also active in card playing groups, including the Senior Center in Northampton and the VFW in Warminster. Friends and partners were so supportive and always encouraged Ray to attend all the scheduled games. Ray's family would like to thank all the friends, neighbors and former co-workers that made this difficult time more comforting to his family. The scheduled viewing and meeting of family will be at Nativity of Our Lord Church on York Road in Warminster starting at 9:30 AM. Mass will be immediately following at 11:00 AM Interment will follow at St. John Neumann Cemetery. In lieu of flowers, a donation to Abington Hospice Unit on Newtown Road in Warminster or Keystone Warriors, PO Box 307, Shoemakersville PA 19555 would have been preferred by this generous man. 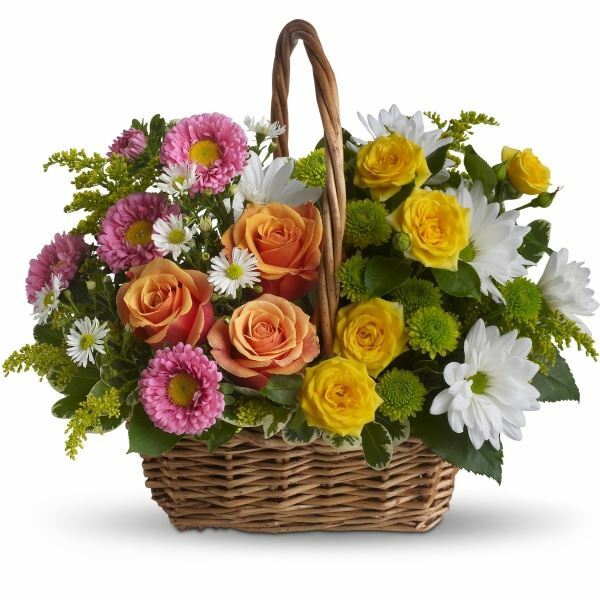 To send flowers in memory of Raymond Sultzbach, please visit our Heartfelt Sympathies Store. Celeste and Steve Zelitch sent flowers to the family of Raymond Sultzbach. We are planting this tree as a living memorial in honor of our cousin Raymond Sultzbach who was cruely taken from us too soon. Ray was a Husband to Barbara of 46yrs, a devoted Father of 2 fine Men, and a true and generous friend. He was also a Veteran, Coach for his boys, he was always ready with a warm hug and support whenever needed. We LOVE you Ray, you will remain always in our hearts. Celeste and Steve Zelitch purchased flowers for the family of Raymond Sultzbach. Wishing you peace and comfort. Dominic Camasso and family. So sad to hear of Ray's passing just now. Not only was he that big friendly smile in the hallways at McNell Consumer, but my neighbor there on Violet Rd. Always smiling and giving a warm welcome to everyone! I'm going to miss chatting with you when I'm back for my next visit home. Ray - I'm sure you got your tee time set and planning on playing a round of golf with the big guy upstairs! RIP!! Barbara - my thoughts and prayers are with you and your sons.